Verona knows perfectly well wherefore it is popular: a prized location in Italian and European power struggles, some of the finest Roman, Romanesque, Gothic and Renaissance architecture you'll find anywhere on the peninsula and a history dating back to Roman times, which includes family feuds, romance and drama enough to inspire Shakespeare to lay his scenes for Romeo and Juliet there. Our selection of the best places to stay in Verona are perfectly situated to make the most of this fascinating city. They vary from great value options in the surrounding countryside to top notch luxury a stone's throw from the Arena. Verona is an easy city to navigate, most of the highlights are in the bend in the river at the centre of the old town, around the Basilica di San Zano Maggiore. Verona's Roman arena, built of rosy marble in the 1st century and surviving the earthquake in the 12th, to stand today as the city's largest performance venue, seating 30,000. You can visit it anytime, but it's obviously more exciting if you see a performance. Verona is a city steeped in romance. And if you're considering it for a proposal destination you'll not be the first...One of the most romantic spots in Verona must be Juliet's balcony. Apparently Shakespeare based his play on the real Veronese family who lived here and had a rivalry with a neighbouring clan. And in those times wooing ladies from below their balconies was the way to court. For a small fee you can enter the little museum and your lady can go onto the balcony for you to photograph from the courtyard below. The Basilica di San Zano Maggiore, widely regarded as Northern Italy's most magnificent Romanesque structure. This church's grand square and its red tower mean you'll never get lost. Verona's other great church is the Duomo. Built in the 12th Century, this striking, striped building has some wonderful statues. 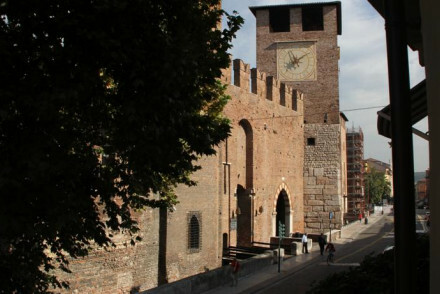 Explore Verona's military history at the Castelvecchio, a spectacular fortress destroyed first by Napoleon's troops, then in WW2, and then 'patched up' in the 60s in a fascinating way. Don't forget to go inside the museum where you'll find frescoes, great art, medieval artefacts and jewellery. An ever popular destination, it is best to plan ahead if you want to bag one of the best places to stay in Verona.....they fill up pretty quickly in peak seasons. If you want comfort and all mod. cons. in style, book the Sogno di Giulietta. Each of the 16 rooms has a different theme, with bathrooms getting special attention. For a city break on the cheap with budget-friendly accommodation, book the Hotel Academia. The rooms are elegant and generous (if a little dated) and the environment is friendly. 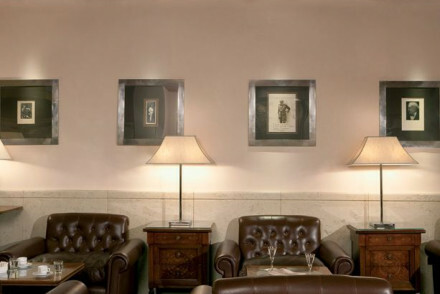 Il Relais is a charming B&B, steeped in history in the heart of Verona. Its rooms are true to its 19th century Palazzo Tommasi heritage with lush modern additions. Perfect for exploring the romantic city of Verona. For Shakespeare aficionados, it's just a short walk from Juliet's balcony. 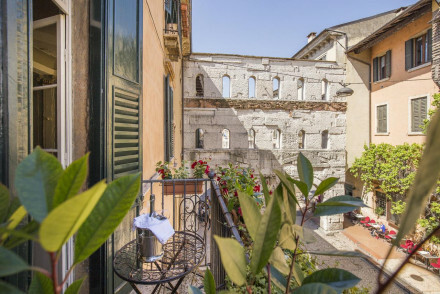 If you're looking for an upmarket hotel near the centre of Verona, the Relais Fra Lorenzo is a delightful guesthouse, looking down onto the city. Its comfortable rooms are spacious and elegantly appointed with bespoke furnishings. With the city centre within walking distance, it's the perfect quiet haven to retreat to after a day's exploring. If you're looking for a private spot in which to woo your Juliet, the Byblos Art Hotel Villa Amistra is our recommendation. Just outside of town, this hotel is like something from The Great Gatsby, but with the twist of modern art. So it's perfect for design conscious Romeos. 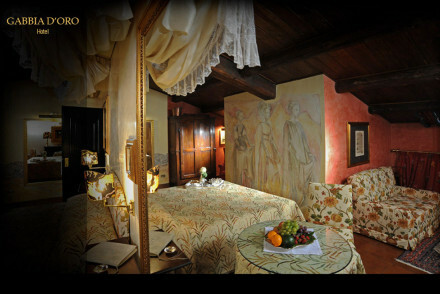 For old fashioned luxury and romance, book the Gabbia d'Oro. Staying in this palace is like staying in a luxury antique store. The Cinque Rooms is a stylish, discreet ‘street hotel’ with a code that lets you enter directly off the street, bypassing the need for reception. Five individually designed rooms are beautifully decorated with statement floral prints and top notch accessories. Perfect for romantic trysts in the city of Romeo and Juliet. For opulence and romance, the Sogno di Giulietta is a small hotel where modern Romeos take their Juliets. Individually themed, elegant rooms decorated with antique rugs, magnificent drapes, candles, art objects and private balconies overlooking the courtyard. The Relais Ristori offers romantic bedrooms in the palest pastels (pinks, limes, yellows) with four poster beds, Baroque furniture, and fresh white linens. A lovely inner courtyard is equally whimsical. 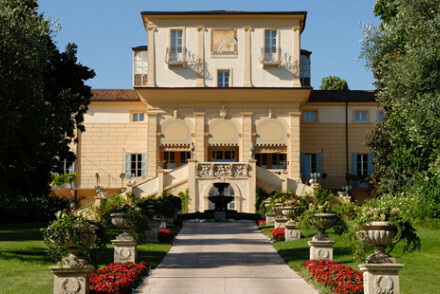 If you're here for the opera festival you can't beat the Palazzo Victoria. It's only five minutes from the arena, so close to all the treasures of the historic centre. And with a Michelin starred chef running the restaurant this is also a top choice for foodies. Situated in the town centre, the Escalus Suites provide visitors the opportunity to experience life like a local in these stylish apartment-sized suites. Decor is smart and contemporary throughout with wooden floors, neutral colours, and handpicked pieces of modern furniture. Bang in the centre of town, it's ideal for opera lovers or those who want to shop till they drop. The Gentleman of Verona is a place of extravagant luxury in the centre of Verona: palatial individually designed rooms (some with private hammam), majestic bathrooms, complimentary minibar. Plus there's a spa for pampering & pretty courtyard garden for romantic dinners. A truly spoiling spot where you'll feel like a VIP! 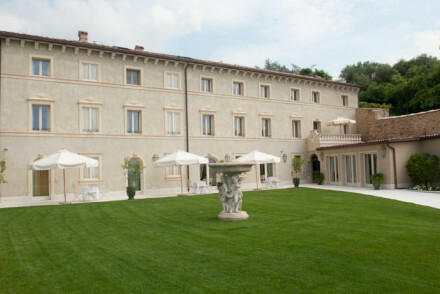 Located outside of Verona, with easy access to the countryside and the city, Hotel Villa del Quar is driven by family pride rather than corporate greed, ensuring constantly high standards in this attractive luxury manor house. Beautiful interiors that combine original stone facades, wooden beams, and elegant furniture. Outstanding food and private reception facilities for weddings. Situated just outside Verona with great access to urban and rural areas, the Tenuta Delo is an elegant hotel surrounded by olive trees. Exquisite rooms have wooden floors, antique furniture, unique views and all mod cons. Vineyards on the doorstep, as well as UNSECO-listed Verona. A laid back country escape for couples or families. If you'd prefer your own space, don't hesitate to visit our online partner Booking.com for a range of apartments ideally placed for exploring the beautiful old town. By rail, the train station is located close to the town centre and provides regional and international connections. Best time to visit - the warmest months are from May to September although as Verona has no shortage of things to see, visitors may enjoy visiting in the off-peak months for a quieter experience. 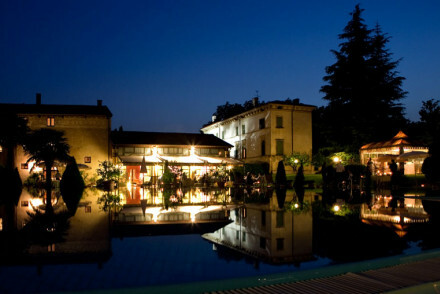 An elegant hotel surrounded by olive trees just outside Verona. Exquisite rooms have wooden floors, antique furniture, unique views and all mod cons. 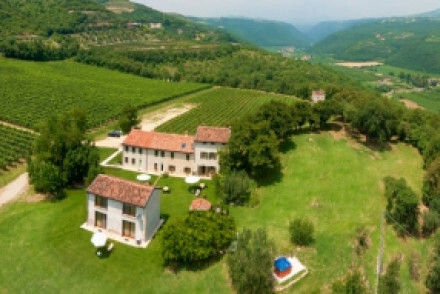 Vineyards on the doorstep, as well as UNSECO-listed Verona. A laid back country escape for couples or families. An ideal location and pleasant (if slightly dated) rooms have won the Accademia many friends. Beautiful sand stone building with romantic pale green shutters. Large elegant rooms provide comfort. An ideal spot to explore Verona for pleasure or while on business. 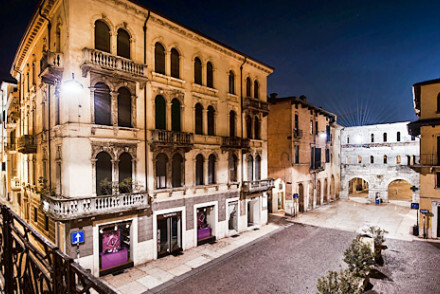 Romantic hotel in the historic centre of Verona, offering Renaissance-style rooms with mural-adorned marble floors, antique furniture, private balconies and affrescoed ceilings. A fine starting point for exploring Verona, it is only 5 minutes from the ancient Roman amphitheatre and Juliet's Balcony. Local exploring - Ideally placed for exploring the historic centre of Verona: a short walk from Juliet's balcony and the Roman amphitheatre. Sights nearby - Only 5 minutes from the Roman amphitheatre, Arena di Verona and Juliet's Balcony. Gorgeous Relais - Romeo and Jultiet style. Romantic bedrooms in the palest pastels (pinks, limes, yellows) with four poster beds, Baroque furniture, and fresh white linens. A lovely inner courtyard is equally whimsical. A small hotel where modern Romeos take their Juliets. Individually themed rooms decorated with elegant romance - antique rugs, magnificent drapes, candles, art objects, private balconies overlooking the courtyard. Experience life like a local in these stylish apartment-sized suites. Decor is smart and contemporary throughout with wooden floors, neutral colours, and handpicked pieces of modern furniture. Bang in the centre of town, it's ideal for opera lovers or those who want to shop till they drop. Designer - All rooms are on the ground floor and feature large windows allowing guests to look out, but no-one to look in! 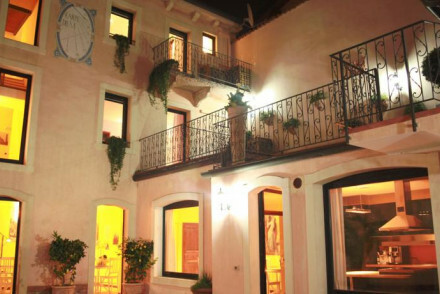 Relais Fra Lorenzo is a delightful guesthouse, looking down onto the city of Verona. It's comfortable rooms are spacious and elegantly appointed with bespoke furnishings. With the city centre within walking distance, it's the perfect quiet haven to retreat to after a day's exploring. Great walks - Lovely walks in the nearby Parco delle Colombare park. Sights nearby - Twenty minutes walk from Juliet's House in Verona. 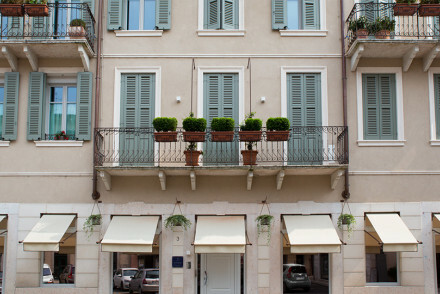 Steeped in history, Il Relais is a charming B&B in the heart of Verona. Its rooms are true to its 19th century Palazzo Tommasi heritage with lush modern additions. Perfect for exploring the romantic city of Verona. For Shakespeare aficionados, it's just a short walk from Juliet's balcony. Sights nearby - Basilica of San Zeno and Church of St. Eufemia within ten minutes walk. Local markets - Verona's Historic Centre is home to a host of market places. Classical elegance and top notch luxury. Seamless bedrooms and suites combine modern gadgetry, private jacuzzis, and white leather furniture with marble columns, parquet floors and frescoes. Excellent Michelin chef directed restaurant. Luxurious, but still family friendly. Sights nearby - All of Verona's historic centre is easily accessible on foot. Fantastic boutique hotel for the design conscious. Baroque furniture, fountains, landscaped gardens, contemporary art, Scandinavian furniture and Venetian chandeliers. Like something from Gatsby. There's also an excellent restaurant and spa. Akin to staying in a luxury antique shop surrounded by silverware, fine china and highly polished furniture, but deeply relaxing and rather grand. An opulent romantic destination. Family pride rather than corporate greed are what drives the standards up in this attractive luxury manor house. Beautiful interiors that combine original stone facades, wooden beams, and elegant furniture. Outstanding food and private reception facilities for weddings. 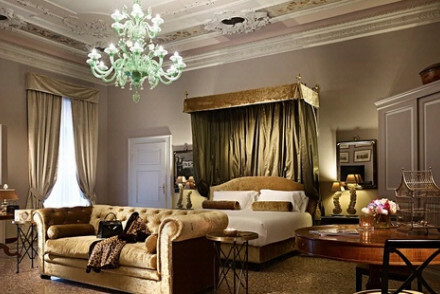 A place of extravagant luxury in the centre of Verona: palatial individually designed rooms (some with private hammam), majestic bathrooms, complimentary minibar. Plus there's a spa for pampering & pretty courtyard garden for romantic dinners. A truly spoiling spot where you'll feel like a VIP!